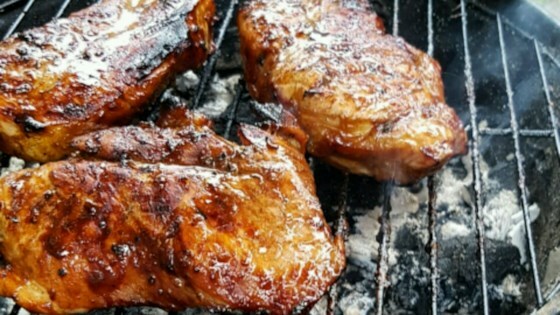 "Tangy, a little sweet, very moist and very easy to prepare -- you're going to love these grilled chops. They turn out wonderfully tasty with an awesome array of flavors. You might want to throw an extra chop on the grill for leftovers, because you will have a craving for it the next day -- guaranteed."